Miss playing slot machines and the Las Vegas sounds at the same time? 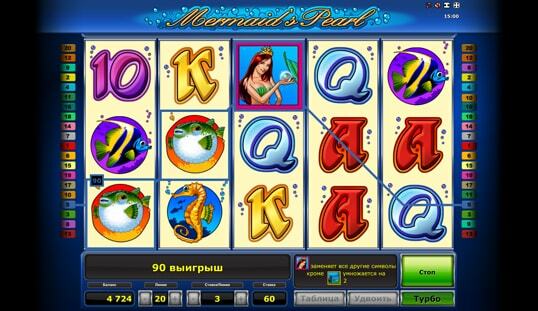 Mermaid’s Pearl slot is the answer to subdue such frustration. Having hundreds of online slot games, a lot of developments in the industry somehow tainted the authenticity of playing in a brick-and-mortar casino. 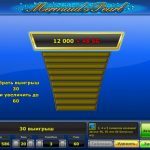 However, the Mermaid’s Pearl slot by Novomatic, despite its simple and non-extravagant interface, still impacts both new breed and veteran casino aficionados with its plain demeanor. Themed under the sea, this game gives you what is to be expected. 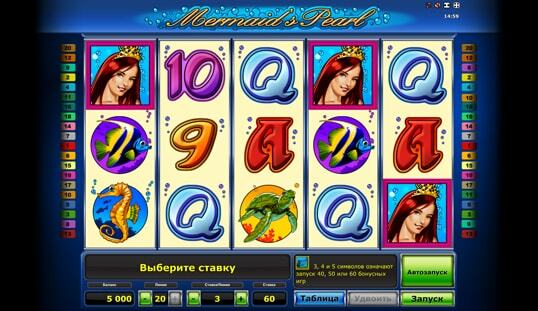 Filled with underwater symbols such as lobsters, sea horses, turtles, and the infamous mermaid, this slot is as straightforward as it gets. 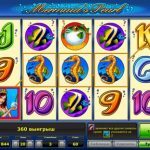 Moreover, if you are craving to hear the clicks and dings of the reel from your last Vegas trip, the Mermaid’s Pearl Bitcoin slot will definitely satisfy your urges. The game does not only projects genuine slot machine visuals but also has its legitimate casino sound effects. 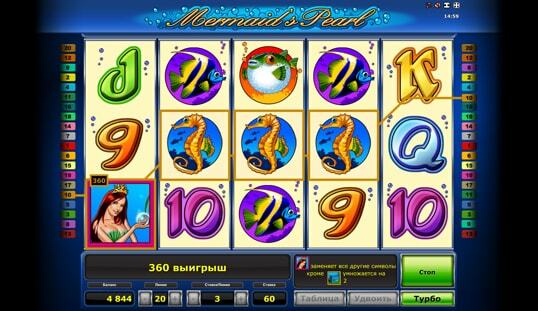 Novomatic did a really great job in making this game stand out among the vast choices of well-developed reel games making Mermaid’s Pearl slot an easy find! This game has five reels and 20 paylines just like most slots. Mechanics for this game does not differ from them as well. Probably, the only difference is the symbols the reel has. But this does not mean that you won’t get pumped up when you play the game. 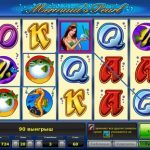 Other than the classic casino slot game experience it delivers, Mermaid’s Pearl slot packs some exciting unique features only present in this game. The slot is never difficult to understand. As long as you have knowledge of what symbols make the winning combination, you are good for the treasure hunt! As mentioned earlier, the reel consists of sea characters and they correspond to a certain winning combination. That being said, you just have to land three or four similar symbols beside each other or on a respective pattern on your chosen line to win. For more bonuses and special games, all you have to take note off are the mermaid and treasure chest symbols. The mermaid symbols serves as the wilds that has the capability of transforming to another symbol if it detects an almost-win combination. This symbol also creates new combos for longer and higher winning streaks. This symbol ticks the 2x multiplier and this makes combo slaughters more exciting. However, the treasure chest symbol is the biggest shot. This symbol corresponds to the scatter, symbols that have the ability to payout a huge amount and grant you with enormous free spin chances. Land three or four more scatters symbols and you will be rewarded with a round of free spins reaching up to 60 spins per round. 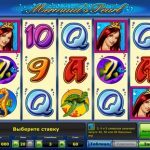 This slot game is packed with qualities that will absolutely feed our yearnings for both authentic casino experience and underwater thrill. 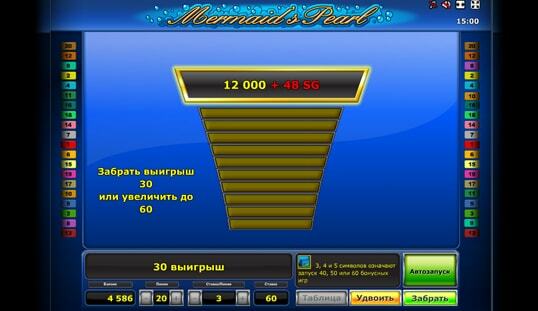 Produced by one of the leading providers in the online casino industry, Novomatic, you can absolutely play Mermaid’s Pearl slot with Bitcoin. It is available on BTC-Casino.io, FOrtuneJack, and William Hill Casino.